What the KPI is this? One downfall that businesses often share is the lack of goal setting and measurement of their digital initiatives. 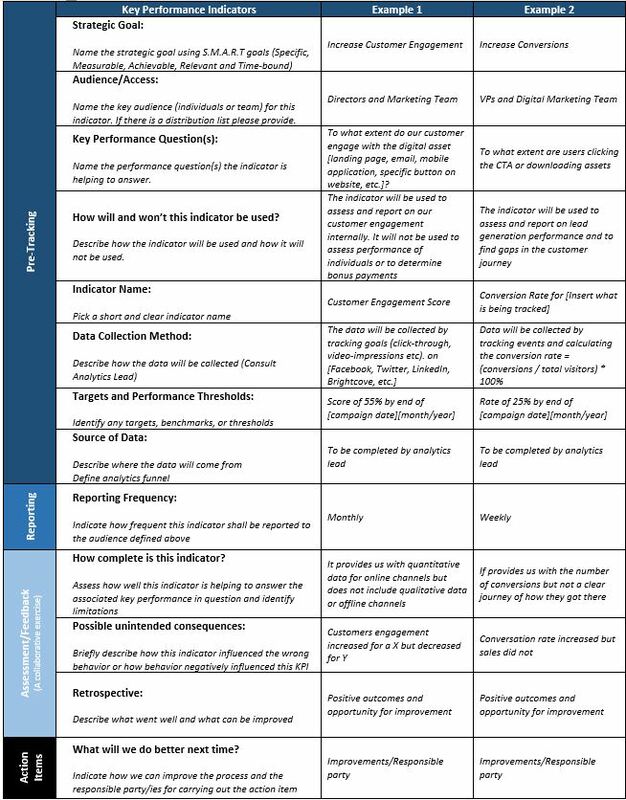 Setting Key Performance Indicators (KPIs) is a critical component to identifying strengths and weaknesses of your content, social media, website or overall customer experience strategy. Not having clear goals and objectives behind these initiatives leave companies with what I like to call the “shiny stuff effect” and high marketing budgets that don’t lead to an ROI. What is the shiny stuff effect you may ask? It’s when creative people (marketing teams) do what they like to do best (come up with new ideas for campaigns) that lead to beautiful visualizations (web pages, advertisements, posts, etc.) that are sold to executives and end up in the company’s digital eco-sphere just to let consumers know they are still doing stuff as a brand. In essence companies that operate like this remain in the awareness phase of the funnel way too long. At some point you have to move along and get to measuring your successes or failures. This is where a Data Analyst can be helpful. Often leaders don’t know where to start with setting KPIs or what constitutes a success when it comes to campaigns and digital marketing. If a Data Analyst is a part of the conversation early-on, they can help you come up with measurable KPIs hat are S.M.A.R.T and that can be used to not only track the outcome of your campaigns and other digital initiatives, but also hold team members accountable for their work (ideas). Defining and measuring KPIs is most helpful when there is a continuous strategy and feedback loop. Measuring outcomes of digital initiative is not a one-time analysis, it has to be ongoing and inclusive of key stakeholders that are invested in the outcome. Once KPIs are defined and the measuring strategy is communicated, it is best practice to have a retrospective meeting were team members get together to discuss what went well and what can be improved. This ensures continuous success of the business.